Beyond the usual suspects of environmental groups, students, and social justice organizers, COP21 has drawn unexpected players including actors, musicians, and artists. 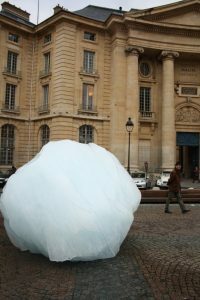 Amongst the estimated 40,000 participants sits a stunning display of twelve large blocks of Arctic ice arranged in a clock shape in front of Paris’ iconic Pantheon, just five kilometres from the Eiffel Tower. Artists Olafur Eliasson and Minik Rosing have created Ice Watch, drawing on the symbolism of a melting and breaking Arctic ice shelf as a symbolic rallying cry for climate change. Ice Watch in front of the Pantheon, just five kilometres from the Eiffel Tower. 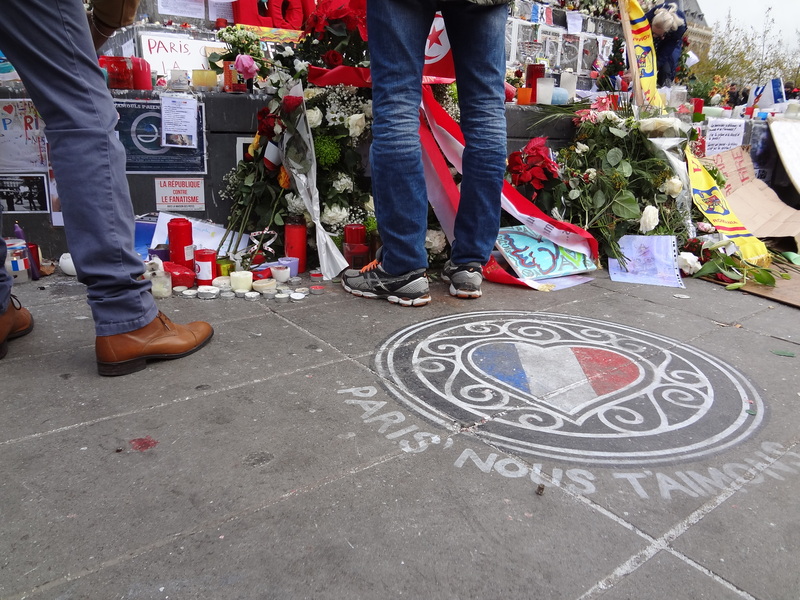 Ice Watch has been the talk of Paris, widely covered by the French and International press. The artists have taken the opportunity to inform the public, and explain their process. Media have covered Ice Watch extensively..
Having hauled the 80 tonnes of ice via refrigerated sea freighting from Greenland, the carbon footprint is equivalent to 30 return flights from Paris to Greenland, they state. As for the Greenland ice sheet, fear not: the pieces were already separated. 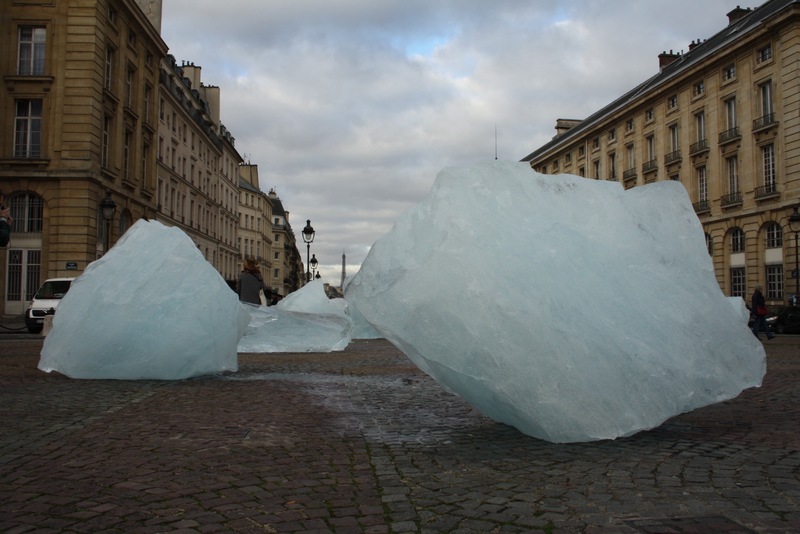 According to the artists, Greenland loses the equivalent of 1,000 such blocks of ice per second throughout the year. 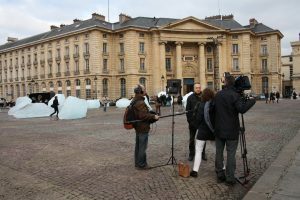 With the clearly stated goal of mobilizing public action and awareness, Ice Watch is one of a series of large scale artworks that have been commissioned for display in prominent public spaces in the lead up and during COP 21 by various non-profits. Artists 4 Paris Climate 2015, co-organizer alongside Bloomberg Philanthropies for the Ice Watch project, is auctioning other works such as Canadian Edward Burtynsky’s photography series entitled Water for climate-related charity. Burtynsky’s photographs are placed inside the COP 21 Le Bourget conference centre in order to draw attention to human impacts on water systems. Some of the twelve blocks transported from Greenland. 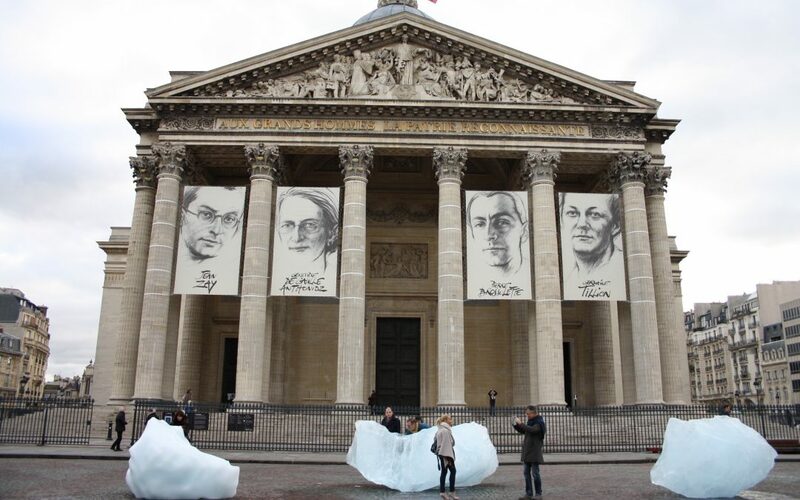 Ice Watch has drawn attention from COP 21 attendees and Parisians. 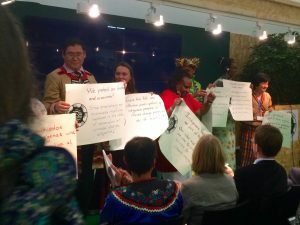 On Tuesday, the Indigenous Peoples’ Pavilion at COP 21 hosted its opening ceremony replete with dance, song and a vibrant fusion of traditional dress. Much of the last remaining swaths of land “available” for economic and resource development rest on indigenous territories. 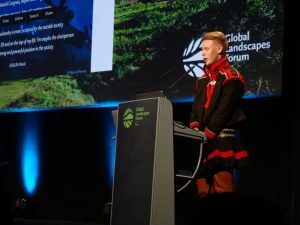 Yet climate choking fossil-fuel based development continues to gobble up what is left, and at the Pavilion, indigenous leaders from around the world say they are unanimous in their refusal to resign their duty to protect their lands. The Pavilion is situated in the Climate Generations Area, known as the Green Zone, directly adjacent to the official leader’s space, the UN Blue Zone. 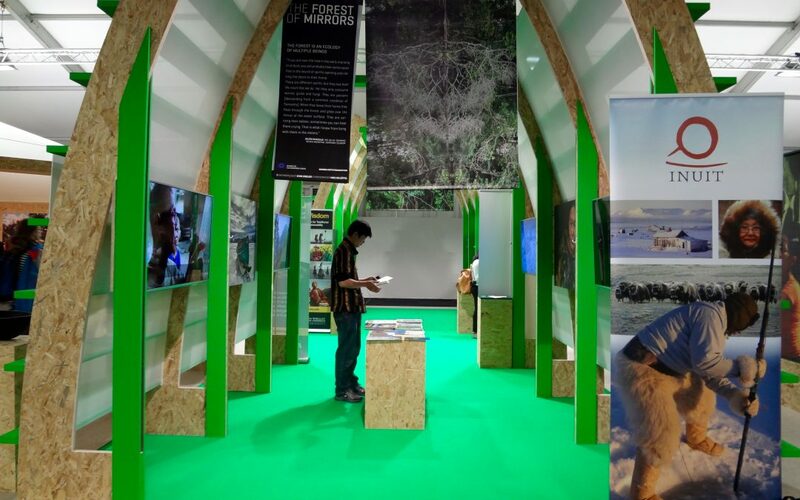 UNESCO, World Resources Institute, the World Wildlife Fund, Google platform climate-simulators, alternative agriculture demonstrations and art exhibits share the space alongside the Pavilion. It bustles with a cacophony of sound and heat; a vibrant answer to the stuffy formality of its state-led counterpart. Egeesiak opens the Indigenous Pavilion. In her opening ceremony speech for the Pavilion, Inuit Circumpolar Council Chair Okalik Egeesiak affirmed the role the Arctic plays in sustaining global climate systems. Science shows that it is the melting polar ice caps and permafrost that will set of irreversible feedback loops of rising sea levels, shifting ocean currents, and increasing greenhouse gas emissions. But the leaders were not here to speak the language of science. They were gathered to speak the language of humanity. The unifying impulse was children and grandchildren. 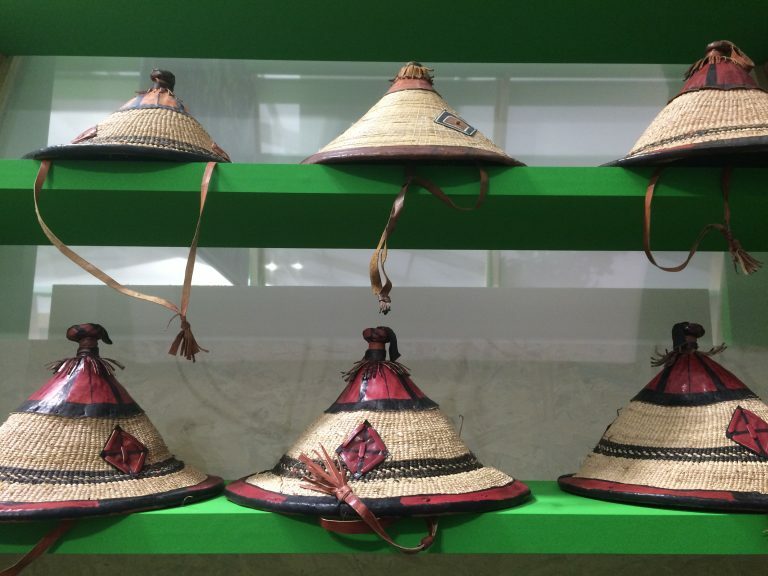 The world’s approximately 400 million indigenous peoples span seven regions and share one common struggle: the overwhelming suppression of their basic rights. According to Victoria Tauli-Corpuz, UN Special Rapporteur on the Rights of Indigenous Peoples, the status-quo economic development has at once contributed to climate change and deprived indigenous peoples of their rights to land, traditional knowledge, and culture. 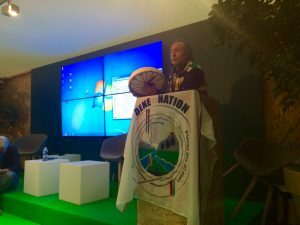 “Indigenous knowledge is an alternative to climate change,” reads one of the posters held up by an indigenous person that traveled to Paris for COP 21. Climate change is increasingly discussed within a framework of human rights. The immediate and future impacts of climate change cut across all levels of human existence: cultural, spiritual, social, economic, and basic health. It’s why climate change amounts to “environmental genocide” for those peoples dependent on the land for their survival. Even the one degree of warming the earth already experiencing is dramatically altering the Arctic environment. 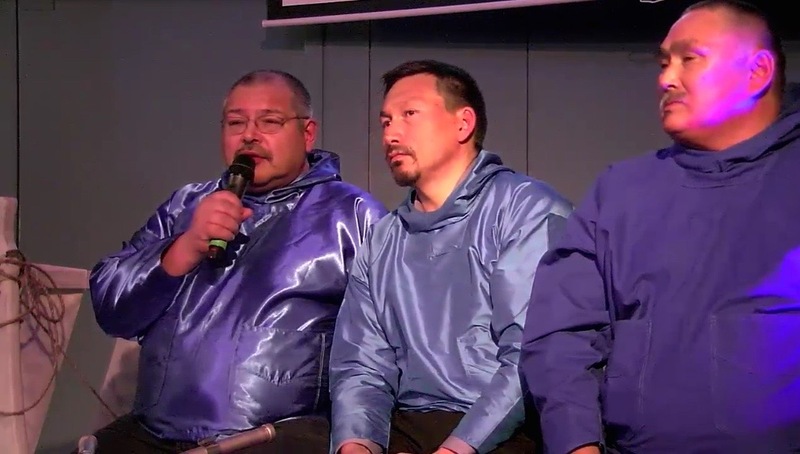 The Inuit are witnessing and experiencing global impacts that many of us can only imagine. But, they’re not alone. 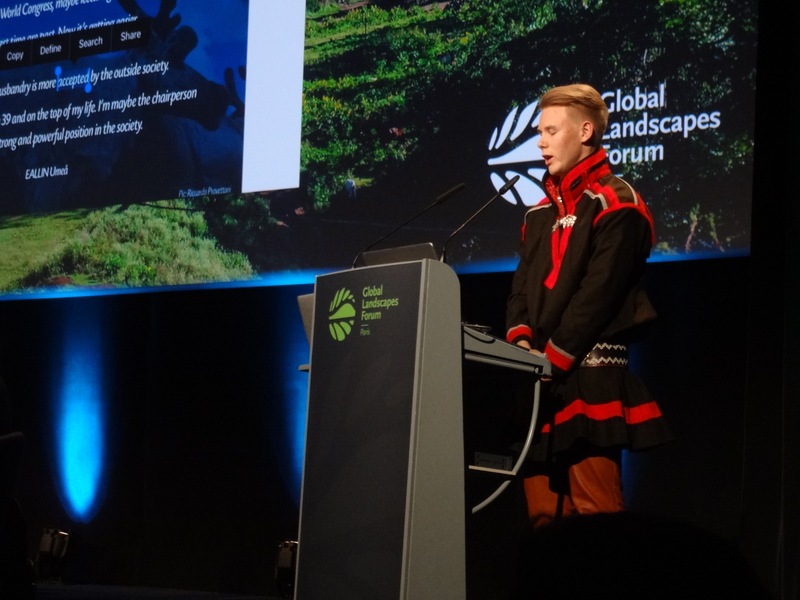 Personal observations from islanders, agrarians, and fishers connected through thousands of years of traditional knowledge confirm their territories are changing dramatically. 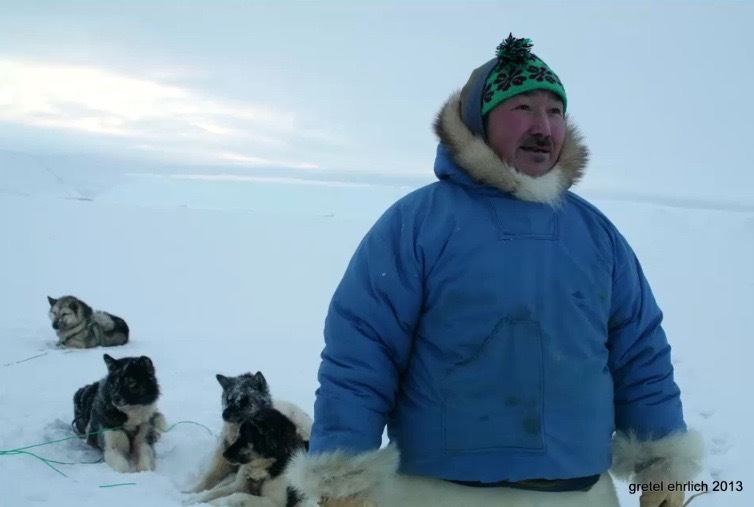 Standing outside of the Pavilion, I spoke with Egeesiak who represents Inuit in Alaska, Canada, Greenland, and Russia. We discussed the success of the Indigenous Peoples’ Pavilion, acknowledging the unprecedented unification of all seven regions. The funding largely came from Norway and is managed by the United Nations Development Program. She said the hard work occurs both in the hallways and in the pavilion space to raise collective and Arctic regional concerns, and to advocate for Indigenous voices to be heard. Working alongside the Global Indigenous Steering Committee, the Canadian Chair of the ICC’s goal is clear: to ensure the language of indigenous rights be included in the COP 21 UNFCCC text that is under negotiation. This seems like a straight-forward request, yet history shows otherwise. The first UN conference of indigenous peoples occurred in 1977, while the adoption of the UN declaration on the Rights of Indigenous Peoples was signed in 2007. It took thirty years, and still four nations refused to sign it. Dene Chief Bill Erasmus led a drum song to close the event. 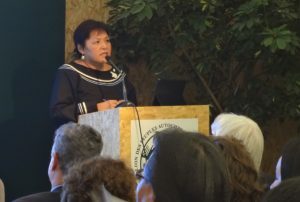 As Andrea Carmen, International Indian Treaty Council leader from the Yaqui Nation explained, though the UN declarations and treaty rights within national borders are significant and critical achievements, they continue to be violated. The high energy event wrapped up with a drum song led by Dene Chief Bill Erasmus. Holding hands, leaders and citizens from all over the world sang a traditional song in honour of indigenous guardians of the planet. Closing words revolved around relationships, to land and to each other. “If we don’t take care of mother nature, mother nature will not take care of us,” Kandi Mossett, Mandan, Hidatsa, Arikara of North Dakota said. This is the wisdom of respect the Indigenous Pavilion seeks to impart. 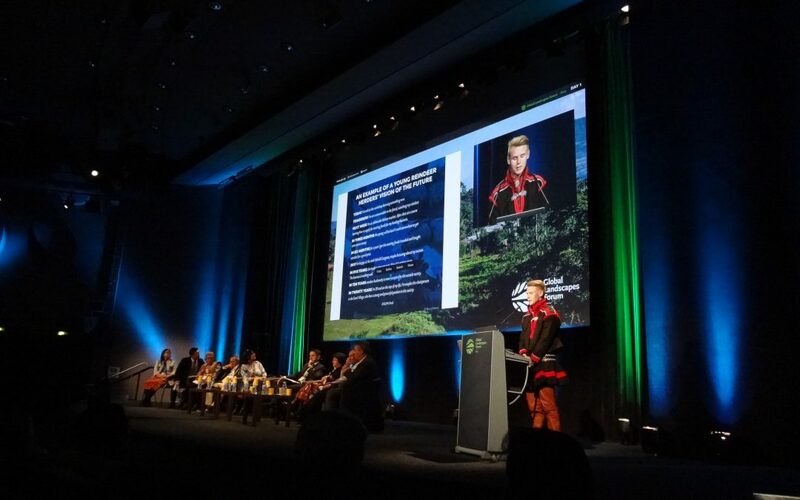 Thousands of delegates, citizens, scientists and activists have descended onto a city and country in a state of stifled turbulence for UNFCCC’s COP 21, the largest climate conference yet. Tens of thousands of conference attendees flew into Paris on Saturday in advance of the conference start on Monday. Sunday was billed as day zero and a day of civil action for climate allies and non-governmental groups. Early Sunday morning, thousands of empty shoes were placed around the Place de la Republique to march in the place of those who could not march for climate. A few hours later, thousands of people gathered hands to form a chaine-humaine, a peaceful action marking a fair compromise in response to the ban on marches. 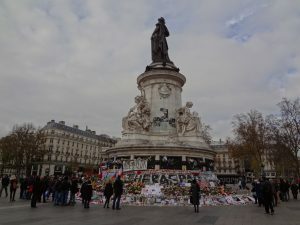 Both peaceful actions were sanctioned by the police force in Paris, and the energy was family-friendly, positive, and fun. There were songs and costumes. It was a gesture of respect between two conflicting realities: the understandable cancellation of organized marches due to insecurity, and a recognition that the voices of people must be heard. As was widely covered, a very small group of extremists left the agreed-upon zone of the sidewalk and created a violent stand-off with police. 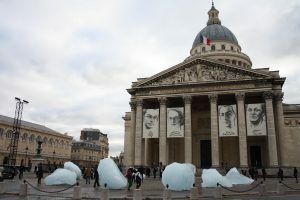 These actions were unrelated and not sanctioned, as was made clear by Alternatiba, the Coalition Climat 21 and Avaaz organizers of the peaceful direct action. 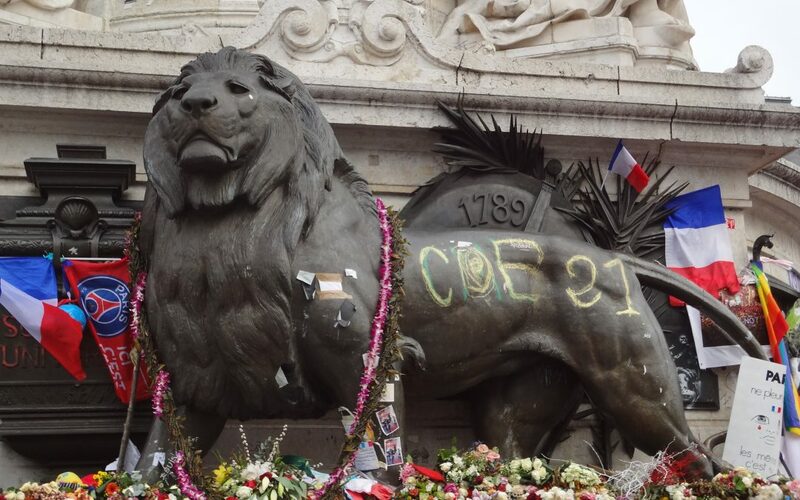 With civil-action and protest central to the French identity, the question of how these non-state actors will proceed with their planned manifestations is of general concern. As Jennifer Allan, a researcher on social movements and climate change at UBC explained, no restriction of crowds can dispel the feelings of frustration and unrest that come from over 20 years of climate inaction. Civil-society groups, a broad range of environment, human rights, and other non-profit organizations, is a counter-weight to pressure both transparency and accountability during the closed-door UN negotiations. A stronger presence and access through observer status of civil-society was a main reason COP 21 has been described as a celebrated break from the past. COP15 in Copenhagen, the last conference with high expectations that resulted in very little, locked many voices out of the negotiating room. But these are not ordinary times in France. The nation is oscillating from its former self, one highly critical of U.S. reactivity post 9-11, to grappling with own complex fears around how to cope with home-grown terrorism. There are 120,000 extra police, gendarmes, and military across France in preparation for regional elections next week, in the middle of COP21. Mandatory military service has re-entered the political debate, and there is talk of extending the state of emergency. Police on patrol at Le Bourget, the UN site in Paris. 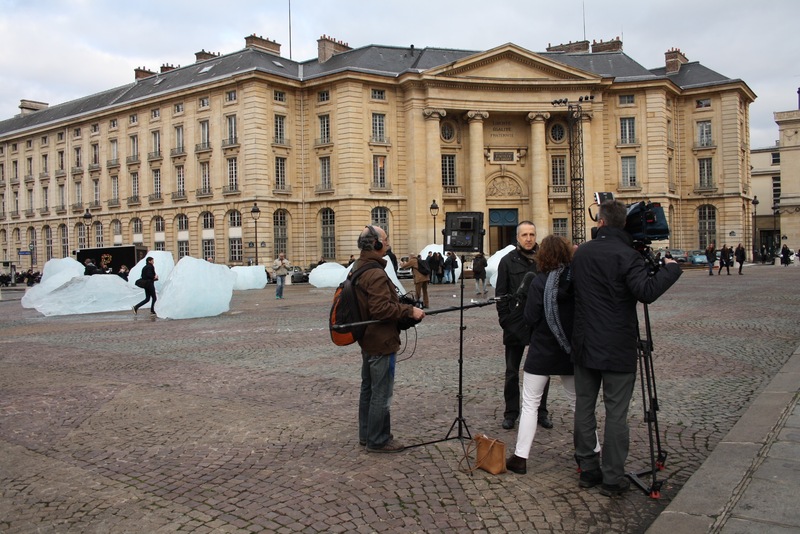 Lauren Kaljur, a graduate student at the UBC School of Journalism and Research Assistant for Arctic Journalism is in Paris for COP 21. 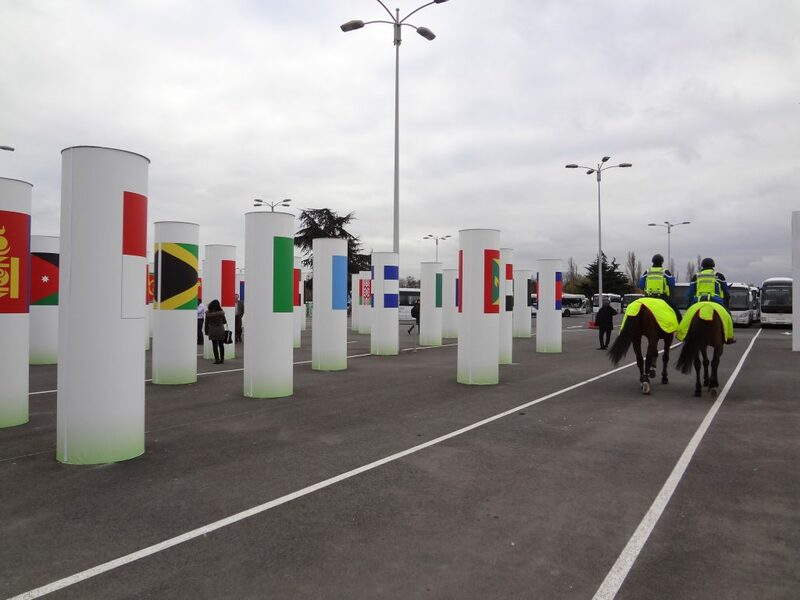 Yesterday was the first day of COP21. Over half a million tweets using the hashtag #COP21 were sent. A very small proportion of those mentioned the Arctic. 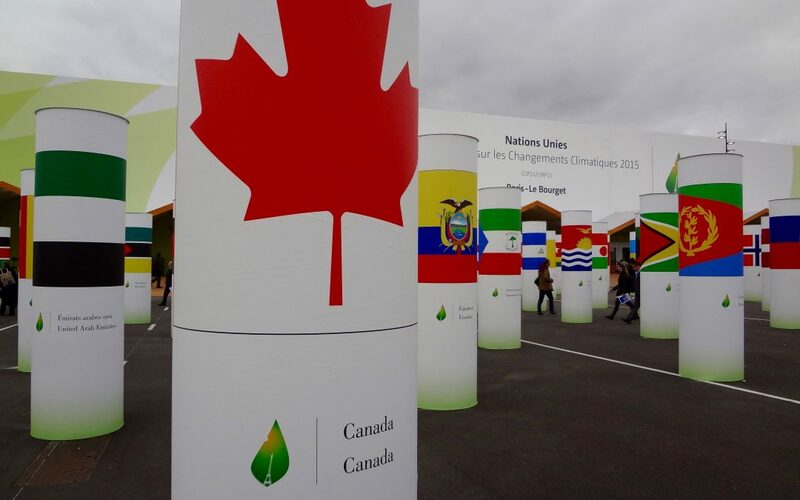 Today marks day one of the UNFCCC’s COP 21 in Paris. Our Twitter feed is starting to fill up with retweets from circumpolar new outlets and organizations. Outside of Twitter, we’re monitoring regional, Canadian and international media to see where and how Arctic concerns, communities, science, and policies factor into reporting on and about COP 21. So far, most of the mainstream media reporting has only focused on the Arctic as an example of, or a backdrop to global climate change. But, it’s only day one! We’ll keep analyzing media over the next 10 days, and post brief summaries here. Lauren Kaljur is now on the ground in Paris, and will also be periodically blogging and tweeting from here, and reporting for Open Canada. Watching Fire ZF-014 from the sky gave me a different perspective on journalism. From the safety of a helicopter, Fire ZF-014 looked unimpressive, a monotonous black stain, interrupted only by lakes and the occasional sighting of smoke plumes. But as the helicopter made its way deeper into the affected area, I began to get a grasp of the fire’s size. The black, smoldering stain, which at mid-August was estimated to be 32,000 hectares, stretched as far as the eye could see. And then, as the magnitude of the calamity dawned on me, a big, fat question fell on my lap like a giant sack of potatoes. It was a selfish question, but I couldn’t shake it off. 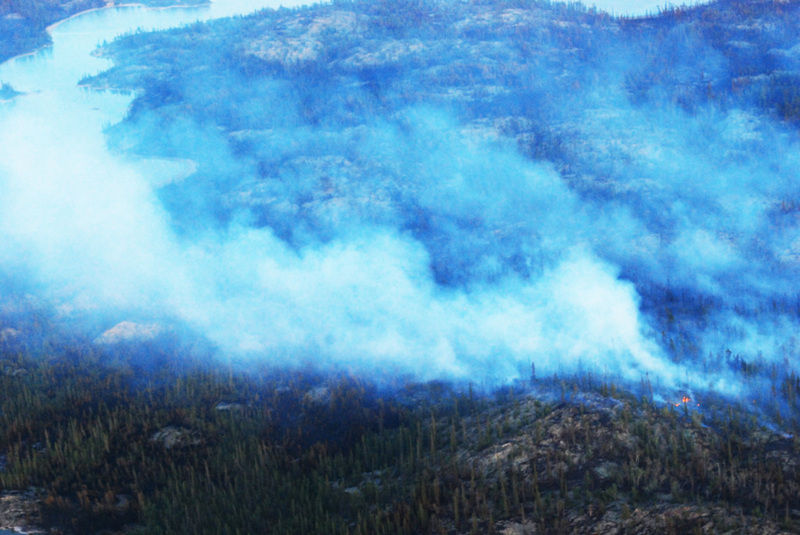 How did I, a student journalist from Argentina, end up in this helicopter, covering one of the biggest blazes of this year’s fire season in the Northwest Territories? In August of 2015, in-between my first and my second years at UBC’s graduate school of journalism, I was taken on as an intern at EDGE YK, an online news website and free community magazine based out of Yellowknife. But since things aren’t ever that simple, I can say that the process of getting to Yellowknife had actually started two years earlier, when I lost my job, my house, and all my belongings to another forest fire, many kilometres away, in the heart of Argentina’s Córdoba province. That event forced me to shift career paths, and—less than a year later—I was on a flight to Vancouver, intent on starting a new life as a journalist. I joined UBC’s School of Journalism as a graduate student. There, I soon found my way to the Arctic Journalism project, an academic research undertaking devoted to studying how journalists are covering the Arctic in the times of Twitter, climate change, and resource extraction. There was something alluring about the North, its immensity, its remote communities, its front-line status in the times of climate change. 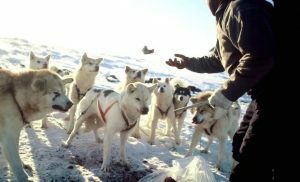 I set my sights on Yellowknife, and with the guidance of my researching supervisors, I spent months prior pouring over articles, collecting data on how journalists in the Canadian North were writing about Arctic issues. And as that data repository grew and grew, I began to wonder how my findings would inform my personal journalistic practices during my internship. Would I be writing for a global audience or a local audience? Who should be represented in my articles? What specific issues should I explore? How should I share my articles on social media? As I flew a couple hundred metres over a raging forest fire in the middle of the vast boreal wilderness, I was trying to process all of these questions, while also trying to decide how I would tell this particular story for the particular news organization I was working for. In the end, the endless heaps of data I collected over the summer undoubtedly shaped the news stories and feature pieces I wrote during my three weeks in Yellowknife. It was that information, as well as my conversations with Northern journalists, that gave me the confidence needed to make the most out of my internship, and to feel somewhat safe as I was flying over Fire ZF-014. At least I wasn’t just parachuting in. Peter Mothe is a graduate student at UBC’s School of Journalism and a Research Assistant on the Arctic Journalism project. You can follow him on Twitter at @petermothe.